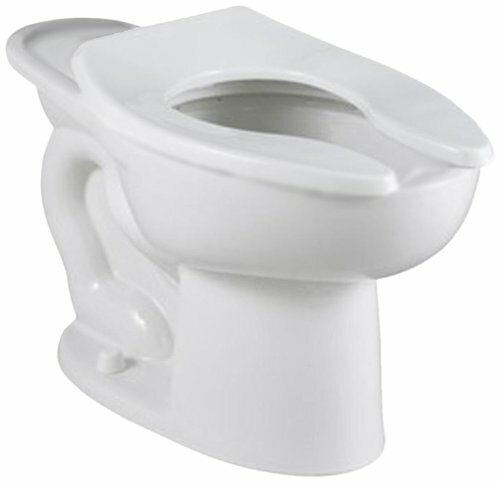 This American Standard Madera Toilet Bowl 3463.001.020 model is a perfect addition to your bathroom fixtures at home. This model under the Madera series comes with a back spud which is perfect if you are searching for a high quality performance while pushing for water conservation. As a matter of fact, this particular model can keep itself, as well as the floor clean while being able to hold up to 1000 lbs. of water. It is also equipped with the EverClean surface feature which inhibits the growth of odor and stain causing bacteria, including mildew and mold. Overall, the quality of this model is a testimony to the brand it represents.